200m Twmpau - Welsh hills at and above 200m and below 300m in height with 30m minimum drop, with an accompanying sub list entitled the 200m Sub-Twmpau with the criteria for this sub category being all Welsh hills at and above 200m and below 300m in height with 20m and more and below 30m of drop, with the word Twmpau being an acronym standing for thirty welsh metre prominences and upward. 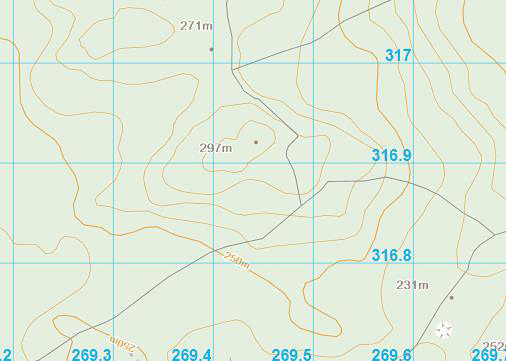 This hill was not listed in the Hills to be surveyed sub list when the original Welsh P30 hills were published on Geoff Crowder’s v-g.me website as it did not meet the criteria then used for this category of hill; however this list has now been standardised and interpolated heights and drop values also included, resulting in this hill being listed with 26m of drop, based on the 297m summit spot height and the 271m bwlch spot height that appear on the Ordnance Survey Interactive Coverage Map hosted on the Geograph website. As the name of the ffridd taking in this hill’s summit has not been confirmed the hill is being listed by the point (Pt. 296.1m) notation and it is adjoined to the Cadair Idris group of hills, which are situated in the south-western part of North Wales (Region A, Sub-Region A3), and the hill is positioned with the A 493 road to its north and has the town of Dolgellau towards its east. As the hill is a part of designated open access land an ascent from a variety of directions is feasible, with a minor road towards its east and a public footpath towards its north and a bridleway towards its south probably giving the easiest option for ascent. The confirmation of the addition of this hill to 200m Sub-Twmpau status is due to LIDAR analysis conducted by Myrddyn Phillips. The LIDAR (Light Detection & Ranging) technique produced highly accurate height data that is now freely available for much of England and Wales. 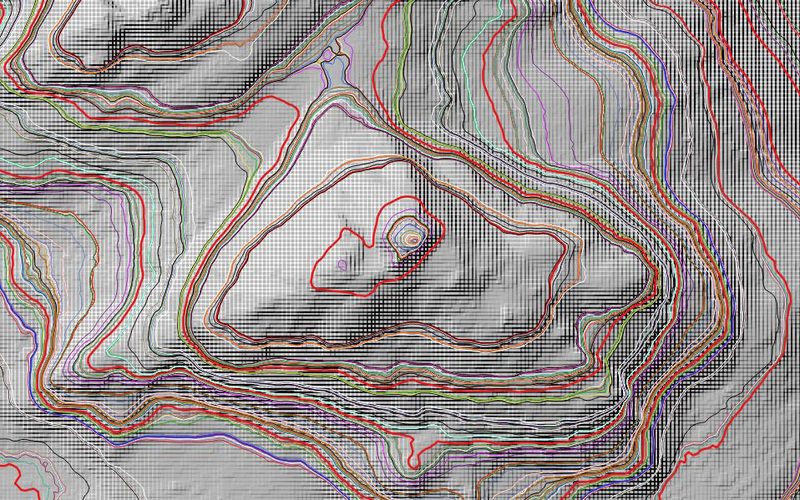 Therefore, the 296.1m LIDAR analysis for the summit position at SH 69444 16921 and the 271.0m LIDAR analysis for the bwlch position at SH 69406 17012 gives this hill 25.0m of drop, which confirms its addition to 200m Sub-Twmpau status.